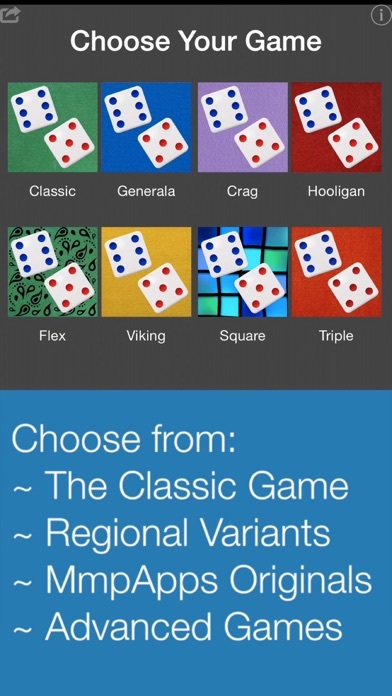 Yacht is the famous 5-of-a-kind dice categories game played around the world be people of all ages. Also known as Yahtzy or other names, the game and it's variants are played around the world. 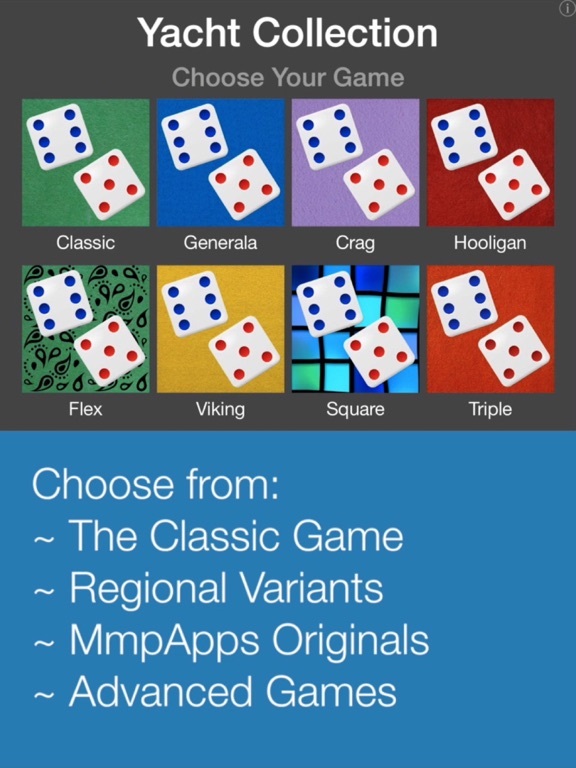 This app collects all of the best versions along with a few of MmpApps original versions. Thirteen games in one! 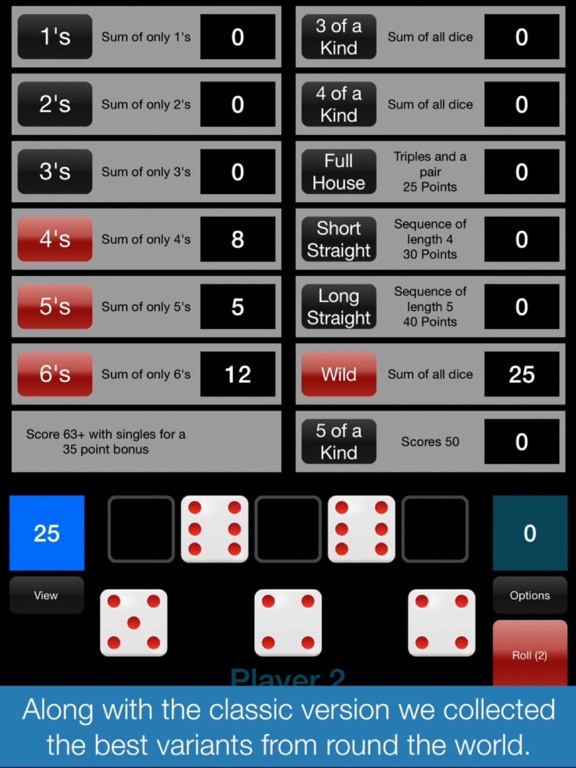 Each turn you roll 5 dice with up to two additional re-rolls of some or all of the dice. You must assign the result to one of 13 different scoring categories. 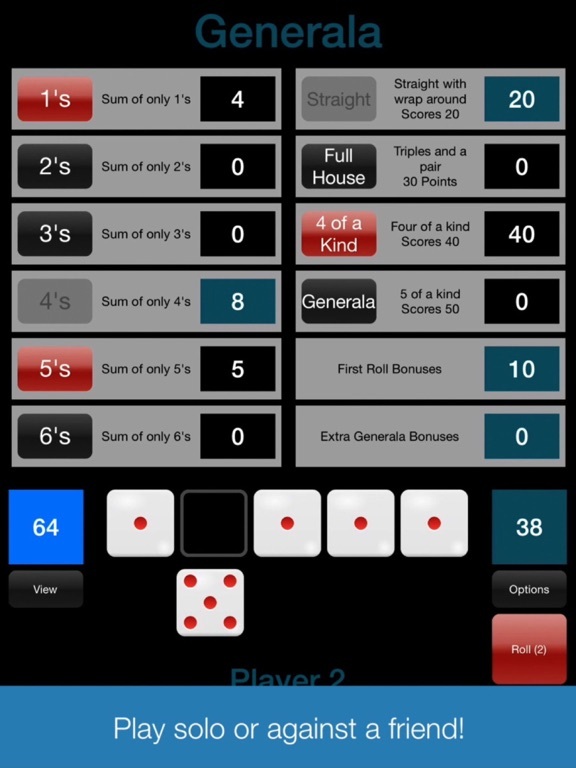 There is a lot of strategy involved in which dice to keep and which to re-roll and what category you assign the result to as each category can be used only once. Classic Yacht - The most famous version of the game! 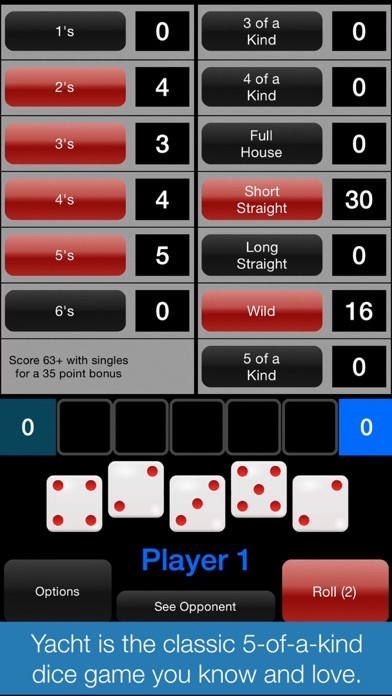 Played with 5 dice. Score your rolls in one of 13 categories including 5-of-a-kind also known as a Yahtzy! Generala - Also known as Generals this version is very popular in Central and South America and give bonuses for scoring a category on the first roll. 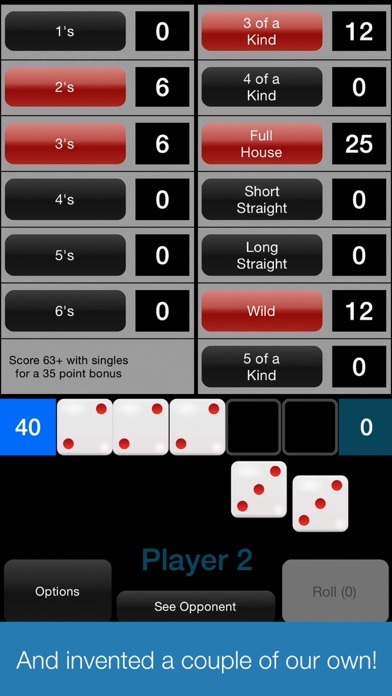 Played with 5 dice. Crag - The ancestor of Yacht, Crag is played with 3 dice and has some interesting scoring categories featuring the number 13. Hooligan - Another variant of Yacht from England, Hooligan is unique in that you must assign the category before you are finished rolling and for it's cascading scoring. Played with 5 dice. Flex Yacht - The extra layer of strategy in this MmpApps original gives you just enough rope... Played the same as Classic Yacht but all 26 of your re-rolls are available for use at any time but once they are used up they are gone for good. Spend them wisely. 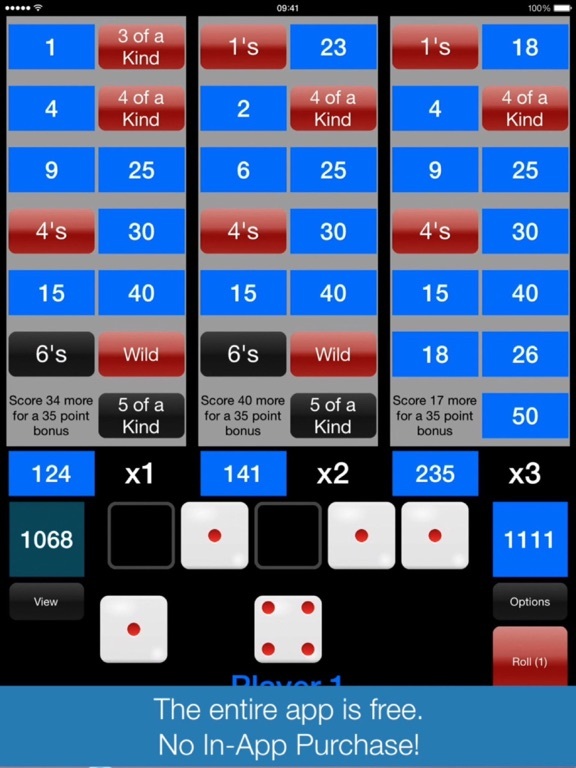 Viking - This variant scoring system is popular in Scandinavia under the name Yahtzy. The one and two pair categories can throw a twist into the game for seasoned players. 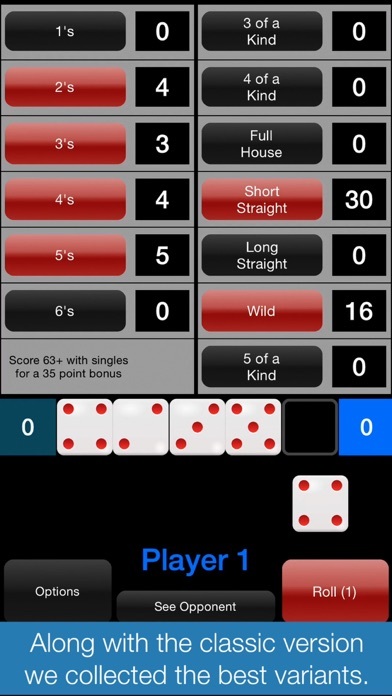 Yacht Square - An MmpApps original solitaire game where you assign dice to a grid and then assign the rows and columns to the scoring categories. 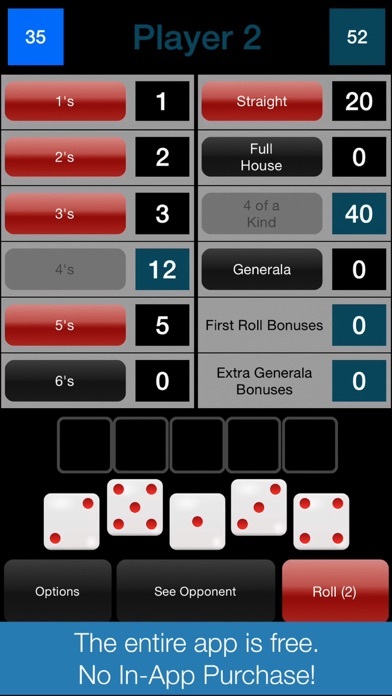 As you roll each die you try to place it to optimize your scoring possibilities. At some point something just isn't going to fit so what row or column do you sacrifice? Triple Yacht - Play three games of Yacht at once! More than triple the strategy when you throw in the score multipliers! This game is for advanced players only. Poker Yacht - In this variant of Yacht you play with a set of poker dice and score classic poker hands like full house and four-of-a-kind. Two-Hand Yacht - Roll 10 dice and distribute them to 2 hands. This give a higher level of flexibility and hence more strategy. Colors - Dice of three different colors. 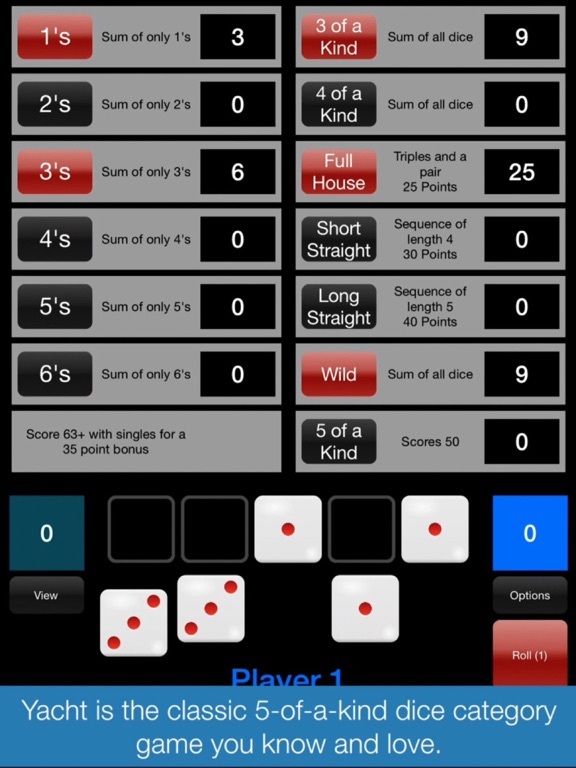 Scores depend on the color of the dice which adds a new dimension to the classic. game. Word - A unique game of yacht played with letters and words not dice, but still having a yacht-like scoring system. Cricket Yacht - A unique dice game that combines that scoring and strategy of classic Yacht with the famous darts game Cricket opening up brand new areas of strategy in this MmpApps original. Play head to head against the computer or against a friend with pass-n-play. Yacht Drop - Select your hands from a grid of dice. Scored hands are removed from play and remaining dice fall into place. Unique strategy allowing you to use the drop rules to build the best hands.